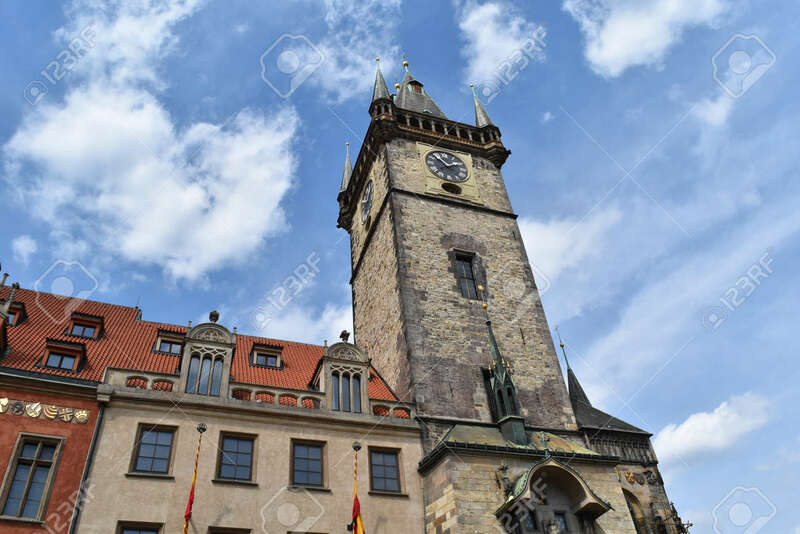 The Clock Tower Of Old Town Hall In Prague In Czech Republic,.. Stock Photo, Picture And Royalty Free Image. Image 94108415. Stock Photo - The clock tower of Old Town Hall in Prague in Czech Republic, with blue sky and white clouds in the background. The clock tower of Old Town Hall in Prague in Czech Republic, with blue sky and white clouds in the background.